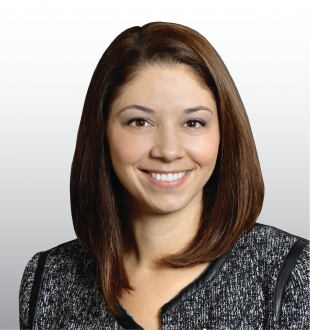 Lauren McCarty is Director of Sales Enablement at Hitachi Vantara Federal, a wholly-owned subsidiary of Hitachi Vantara. In this role she leads the channel, customer advocacy and marketing teams to create a comprehensive and strategic approach to the federal marketplace. This includes leading the go-to market strategy for Hitachi Vantara Federal’s REAN Cloud acquisition in the federal space. With more than 15 years of experience working with corporate development, communications, and marketing, Lauren is known for her skill at building strategic relationships designed to further the sales goals of the company. Prior to her arrival at Hitachi Vantara Federal, Lauren led Booz Allen Hamilton’s communications and marketing efforts covering the Department of Justice, Homeland Security, and Transportation accounts. While at Akima, a $1.2B federal contractor with over 5,500 employees, Lauren served as the Director of Corporate Development managing the teams responsible for marketing, communications, business intelligence, and sales operations. In this position she also managed the branding development and execution of over a dozen newly formed and existing subsidiary companies. Earlier in her career Lauren managed the marketing and communications teams at AOL, CSC, and SAVA. Lauren is a graduate of Clemson University with a degree in English. She is a regular volunteer with the Lucky Dog Animal Rescue in Arlington, Virginia, where she helps find forever homes for foster dogs.